I admit, the sheer beauty of some of these words calls me to them and inspires me into their mysteries! Kismet, Wabi Sabi, Wu Wei (the art of non-doing), and Kintsukuroi, for example. Each has its own mystery, its own invitation to us. 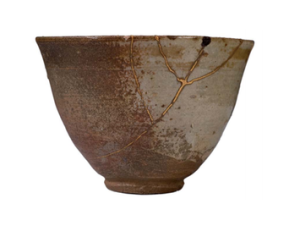 Kintsukuroi, for its part, is the exquisite inclination to see the potential beauty in and then make art from the shards of something that’s broken. Those working the magic of Kintsukoroi piece things back together, using precious metals like gold, silver, and I’d suggest copper, because it’s beautiful. This is a wonderful article written by Marc Chernoff providing easy “actionable tips”, as he puts it, to work into your daily life with conscious intention. 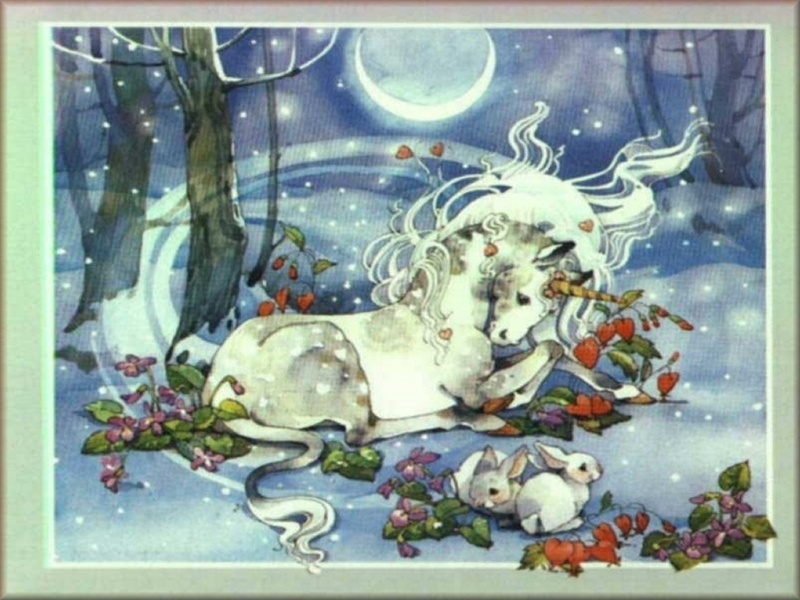 As people are reflecting on their year behind them and the New Year to come, I know that many are creating intentions and resolutions, so perhaps these might find their way into your commitments to engage and embody. Remember, every day can be an empowered choice to commit yourself mindfully to intentions. 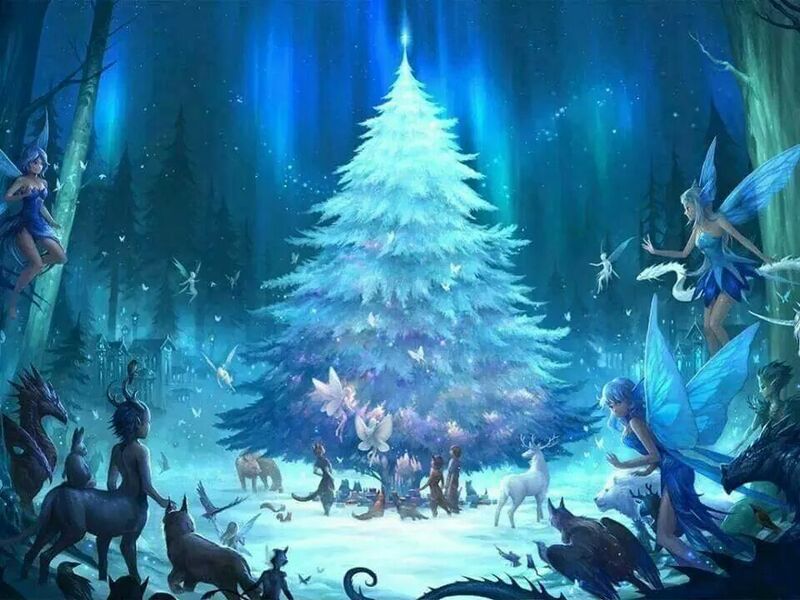 You don’t need to wait for the New Year to roll around to create more happiness, harmony, well-being, and vibrancy in your life and the world around you. I know from my own experience, that these truly DO make a difference and I keep staying mindful to work on them consistently because of actualizing their value and quality contribution to my life. 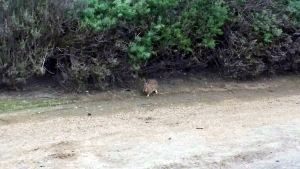 Last weekend while walking the San Joaquin Wildlife Sanctuary, three rabbits ran across the path directly ahead of me. 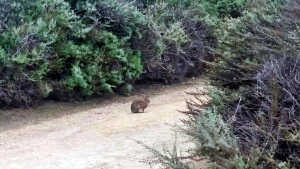 Two of them were little cottontail rabbits and the third was a much larger rabbit, in comparison, pictured here in the images I captured. 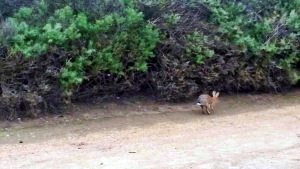 The first two scurried a long more quickly, although hesitated in the bushes for me to have an eye-to-eye, but the third, larger rabbit, lingered to connect more intentfully. There was something about seeing three and how two were smaller, but seemed equal in energy, and the third was the largest and seemed to embody not only a bigger energy, but one that brought all of their energy together and held its space with very present wholeness. I love the energy of three and its integrative, creative power. In the stillness of meditation be with your own divinity. Pause and quietly rejoice in the feeling of oneness with the universe. At some point in your life’s path you became aware that there is more to life than what you perceive with your physical senses alone. At that moment your own spirituality was born in you. I celebrate the birth of my spirituality. May you fully reclaim the purity and wonder that you are innately and may you come to consciously embody the joyous and miraculous spirit of creative love endowed upon you. And if the bell doesn’t ring for you anymore, perhaps today can be your day to listen a little bit more and to invite imagination into your heart once again. Good stuff. I agree with the love light and joy.